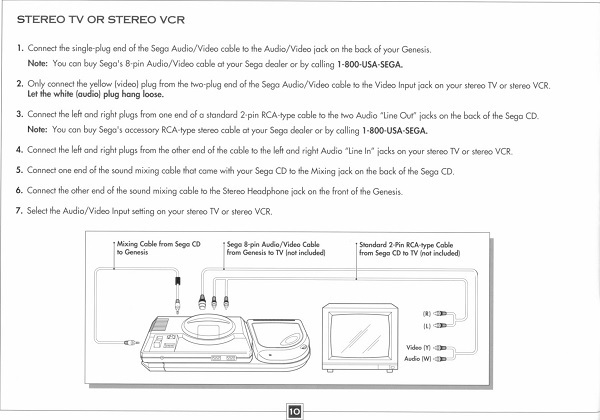 This page is here to clear up the confusion on how to properly get audio from your Sega CD and (or) 32x. I’ll skip to the end and give you the short answer first: Regardless of what system is hooked up, simply get sound from the stereo source you normally would. The Genesis 2 and CDX’s A/V port will be fine. 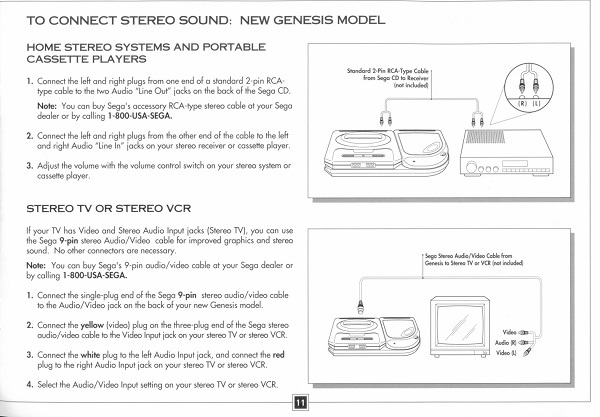 The Genesis 1’s headphone port (or audio mod) will also provide Sega CD’s audio in stereo. Also, the Sega CD’s video is fully transferred through the Genesis, so whatever RGB solution you use for you Genesis will automatically work with the Sega CD. Does that makes any sense at all? 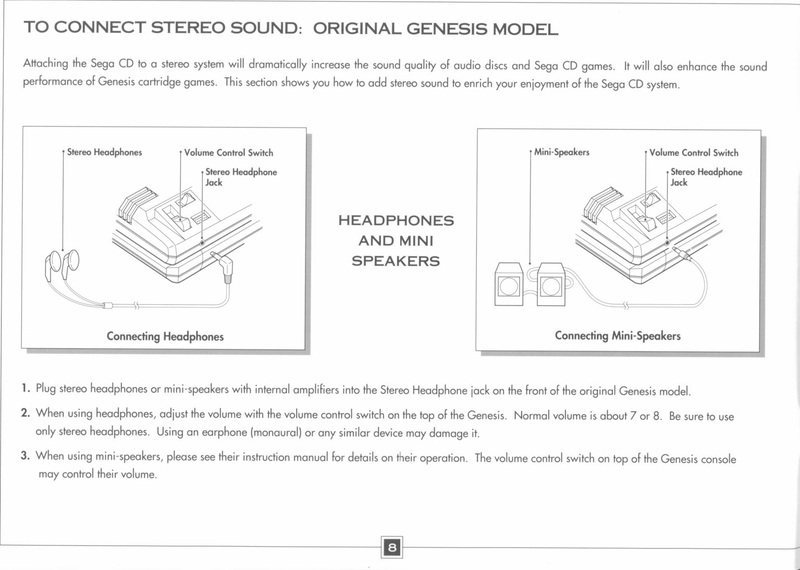 For years, I thought you were required to mix the Genesis 1’s audio through the Sega CD in order to get all sounds. 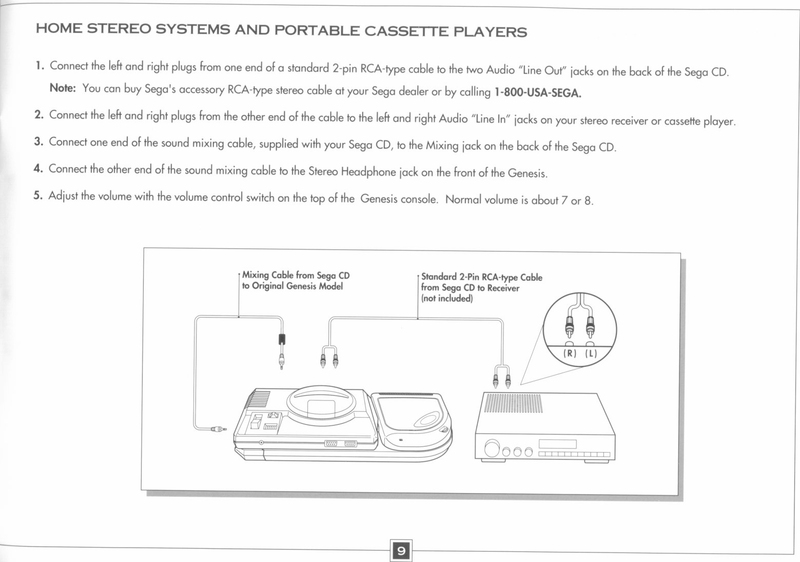 The first page shows that you’re able to get all of the audio directly from the headphone port…so what’s with the other pages? I can tell you, from personally testing my Genesis 1 and Sega CD that getting the audio from the headphone jack, or audio mod is all you need. Don’t bother routing anything through the Sega CD’s external ports. 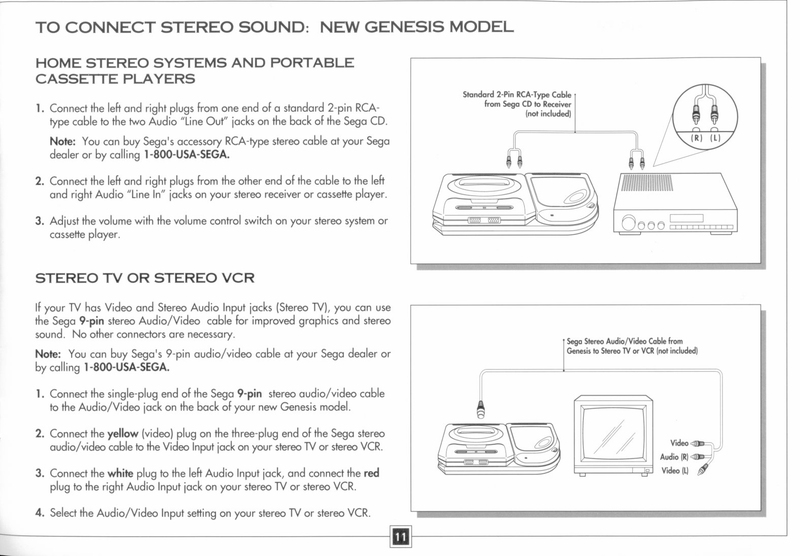 As for the 32x: It doesn’t matter if you’re using the Sega CD or not (even with 32x CD games), the 32x passes all of it’s sound through the Genesis. 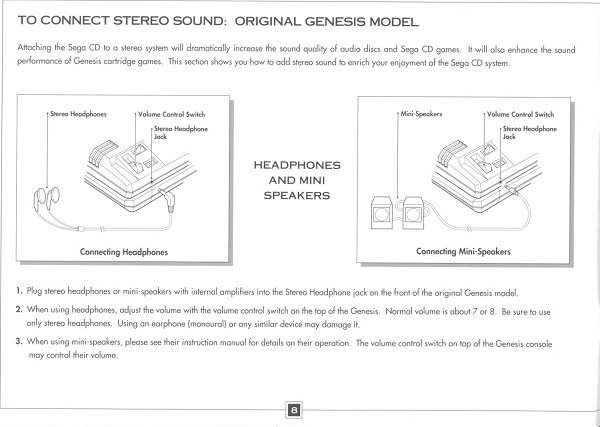 It does produce sound with it’s own audio processors for a few 32x games, but all sound is routed through the Genesis. It’s A/V ports simply act as a pass-through. Said otherwise: What ever audio goes into the 32x, comes out of the 32x, with nothing added. This is important to remember: If you need the RGB SCART cable that’s coming out of the 32x to carry sound, then make sure the proper sound goes INTO the 32x. 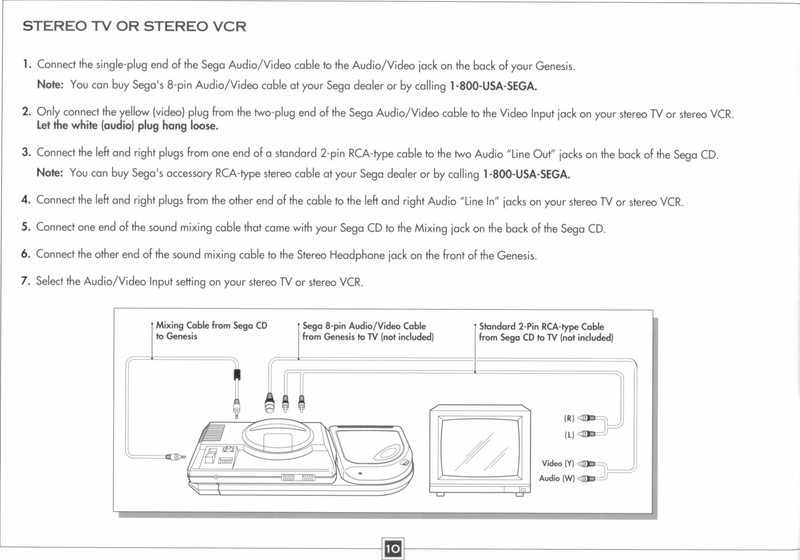 Please refer to the 32x page for detailed info on which cables and adapters to use. That’s it! 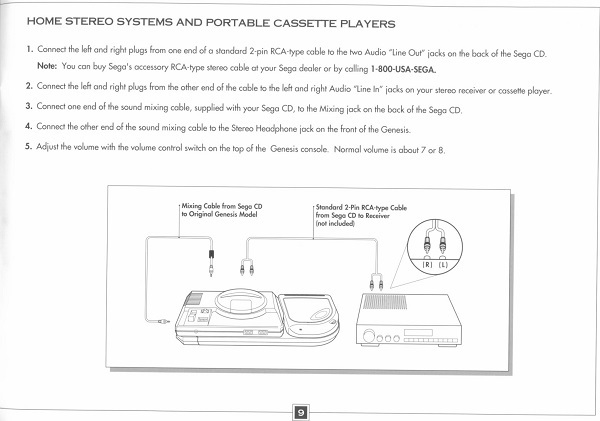 I don’t know why Sega felt the need to make the manual so complicated. It’s nice that they gave you more options, but what overkill! If you’re done, please head back to the main Genesis page. If you’d like info on mods for other systems, head to the Getting RGB From Each System page or check out the main page for more retro-awesomeness. Sega CD Model 2 Console in original box. Very nice cond. TESTED and WORKING! Sega CD Model 2 Console Fully Restored. Tested and Working!